The State of the State address reflects a continued commitment to education as Tennessee’s top priority. Additional funding for high-needs students is important to providing equity and excellence for all students. There are achievement gaps all across Tennessee, and the state cannot rise to the best of the best until we narrow and close these gaps. In addition, Tennessee’s recent academic success would not have been possible without the hard work of our educators. To keep our great teachers and recruit more great teachers, Tennessee must continue to improve compensation — and empower school district leaders to use these resources as needed in their schools. 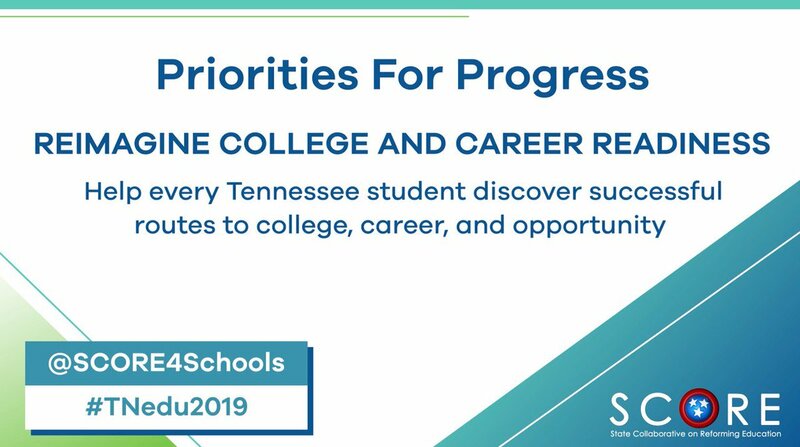 Importantly, Governor Haslam has also proposed investments that will directly support increasing the number of Tennesseans with education beyond high school. Investing in career and technical education makes clear to employers that our students — the employees of the future — will be able to do the jobs of the future. Finally, Governor Haslam’s proposal to offer all Tennesseans the chance to attend community college free of tuition and fees, and the commitment to the education of those in the National Guard, is a bold step that continues Tennessee’s leadership in education. Additional details on Governor Haslam’s proposals.